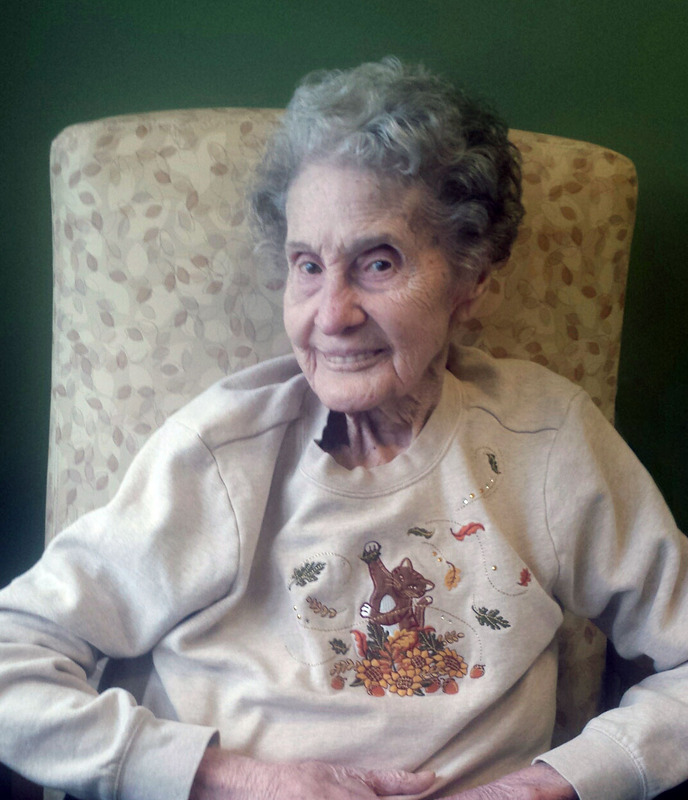 Obituary for Geneva (Sutton) Gage | Langeland Family Funeral Homes, Inc.
Died Tuesday morning April 9, 2019. Geneva was born September 28, 1923 in Moulton, Alabama a daughter of Luther and Mollie (Daniel) Sutton. She had been a Kalamazoo area resident since 1952 and was employed with Continental Linen Services for over 39 years before retiring. Geneva was preceded in death by her parents; her first husband, Odis Harville in August of 1957; her second husband, George Gage on August 20, 1997; 2 daughters, Vonda Murdock in 2004 and Debra Rice; 2 grandsons, Jemar C. Harville and Christopher Murdock; 2 great-grandchildren, Duncan and Cassie Smith; and 2 sisters, Mildred Wiltfong and Hilda Lindsey. She is survived by 3 children, Vanedra Miller of Bronson, MI, Jemar (Lynn) Harville of Kalamazoo, Wesley Harville of Portage; 5 grandchildren; 7 great-grandchildren; and several nieces and nephews. Services will be held 11 o'clock Saturday, April 13th at the Langeland Family Funeral Homes, Westside Chapel, 3926 South 9th St. Visitation will be one hour prior to the service at the chapel. Interment will be in Hope Cemetery. Please visit Geneva's personalized webpage for directions, online guestbook, or to leave a condolence. www.langelands.com.